Visit Tivoli Apartments on Facebook! Enjoy the urban lifestyle Tivoli offers with a convenient location and easy access to the George Bush Parkway, Midway, and other major thoroughfares, providing a great location for any commute. 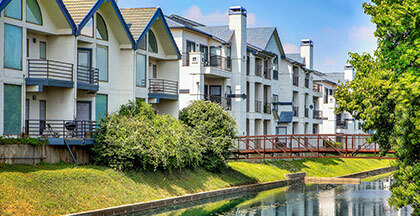 A North Dallas address with amenities designed for the business professional. Tivoli has high-speed Internet access, multiple phone lines, fitness center, garages, garden tubs and much more. Experience luxury that’s affordable and exceptional service that’s free!